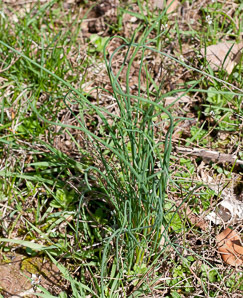 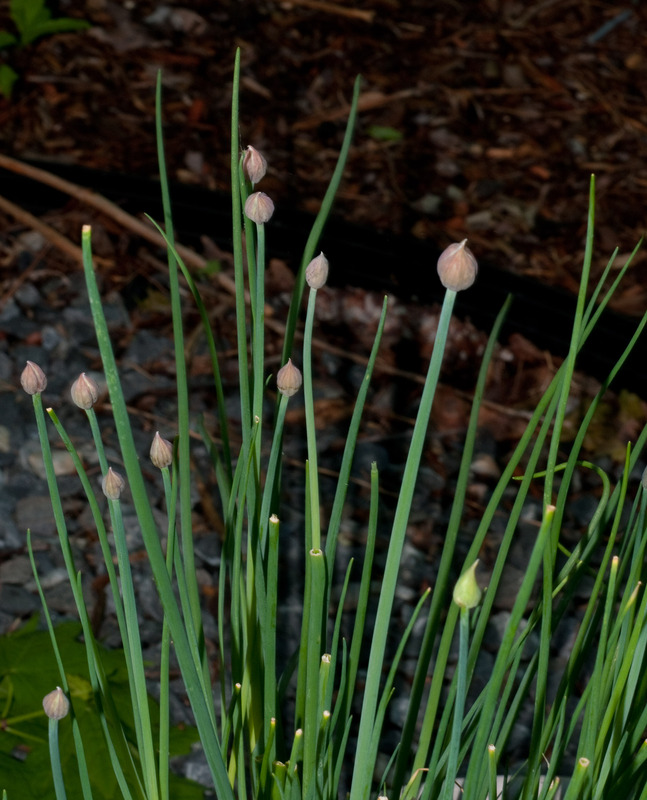 Chives are native to temperate regions around the world. 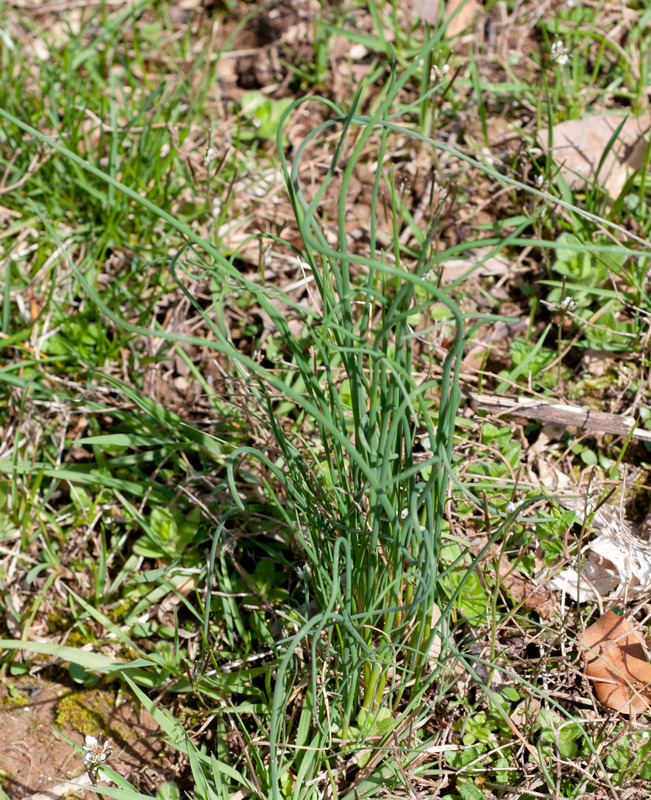 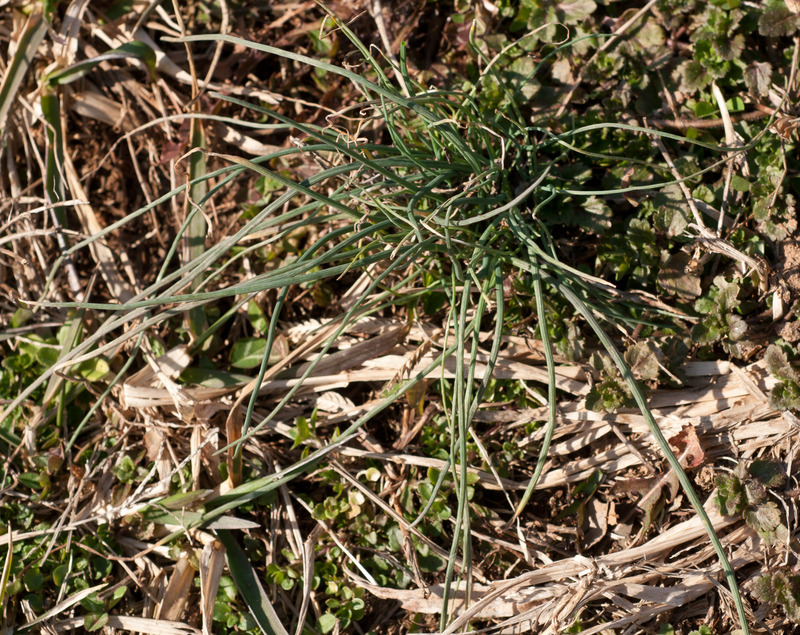 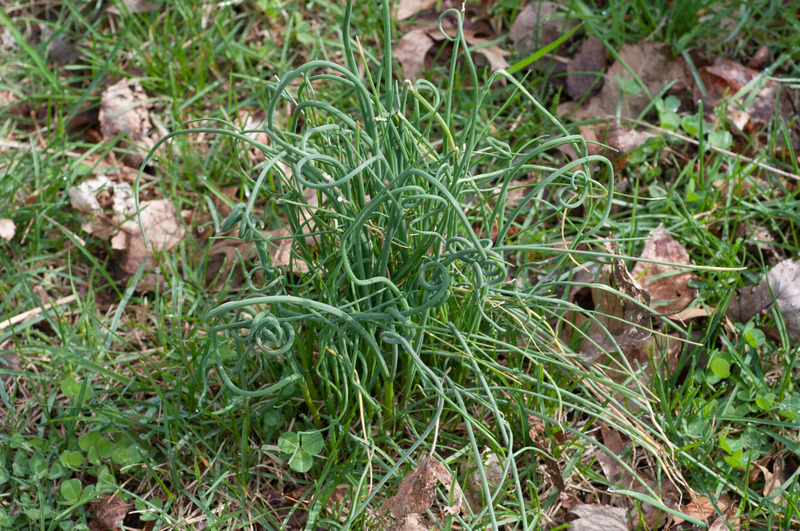 Their cultivation dates back 5,000 years, though wild chives are also edible, and may even pop up in your lawn. 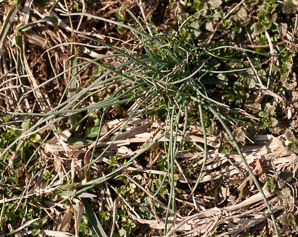 Identification: Plants are 8-20" (20-50 cm) tall, composed of clusters of erect, round, hollow leaves, ¹/₃₂-¼" (1-7 mm) thick. Sometimes the tubular leaves are unevenly curled. 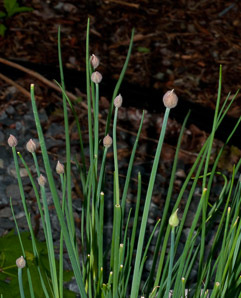 The clear odor of onions in a crushed leaf is a sure indicator. 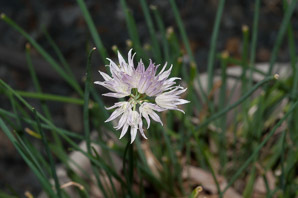 Flowers are globe- or dome-shaped, composed of many small tubes, pale to deep purple-pink in color. 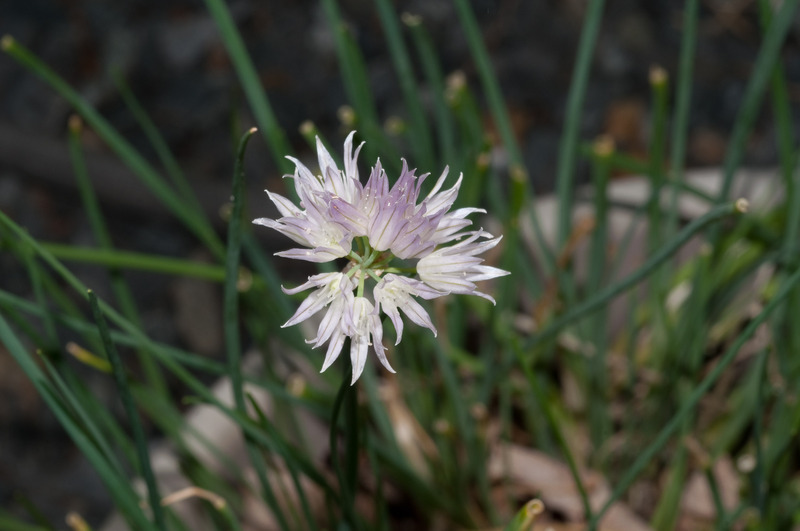 Each flowerhead has up to 30 tiny flowers. 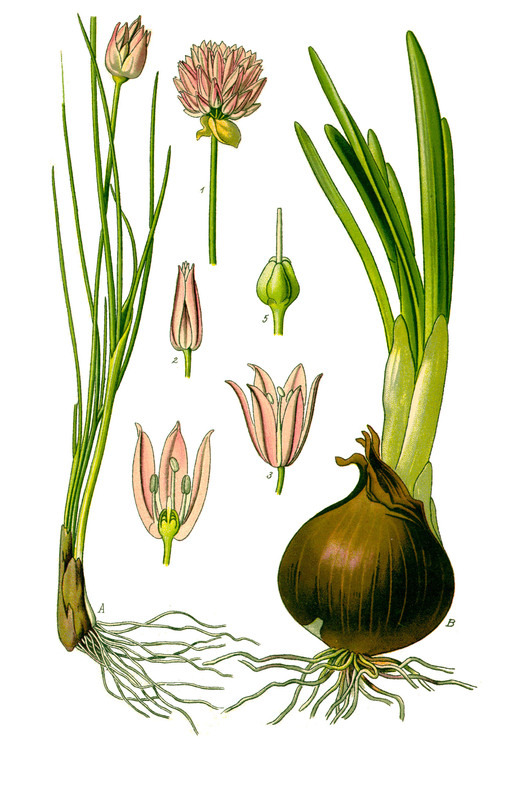 Fruits are three-lobed capsules. 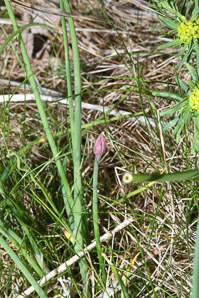 Allium schoenoprasum (a) and Allium cepa (b). 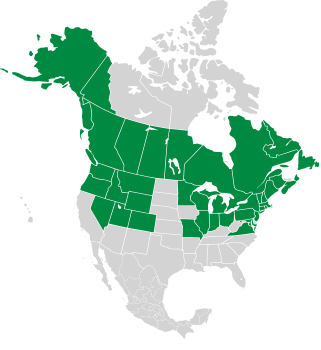 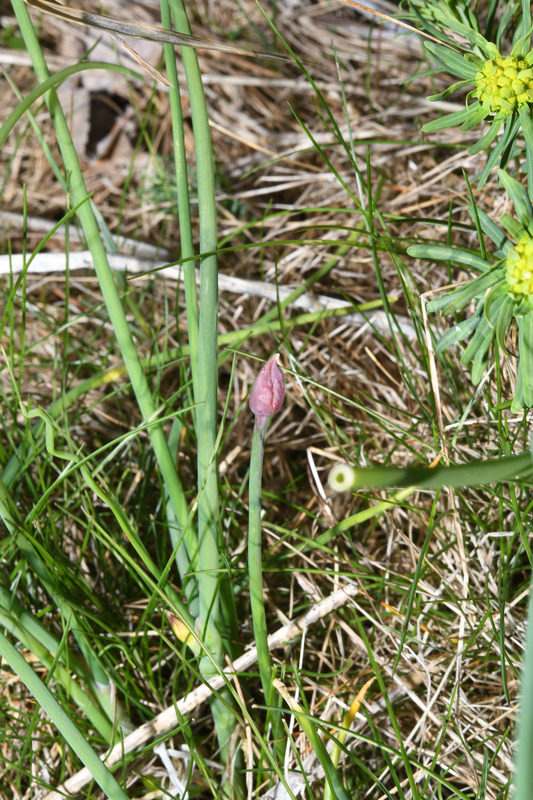 Allium schoenoprasum description by Thomas H. Kent, last updated 2 Jan 2019.